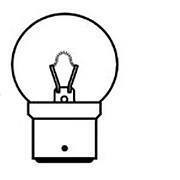 Globe Bulbs. 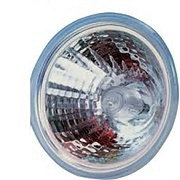 Available in 25w and 40w. 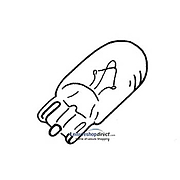 Festoon Bulbs Sizes in mm. 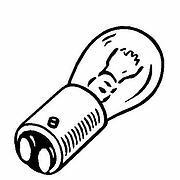 Availble in 5w, 10w and 18w. 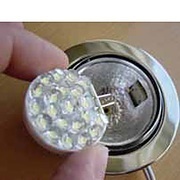 Save Battery power with your lighting. 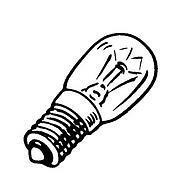 Replace your power hungry halogen bulbs with energy efficient LED. 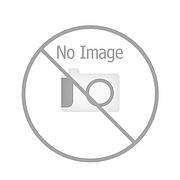 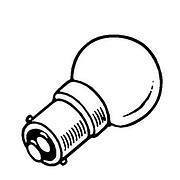 24watt 12V Conversion Bulb Ba22d. 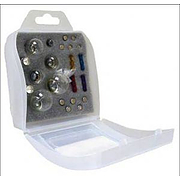 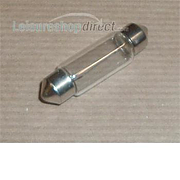 With this bulb a standard UK 230volt bulb holder can be used on a 12 volt supply. 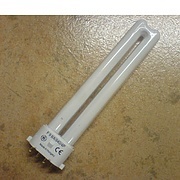 Flourescent Tube 9W PL. 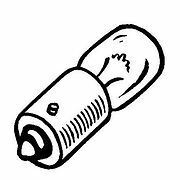 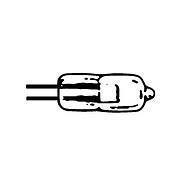 4 pin spare bulb. 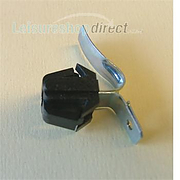 A bulb retaining clip which fits most Jokon rear lamp clusters. 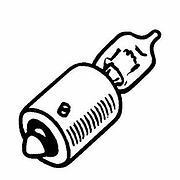 12v and 240/230v bulbs for use in your caravan or boat.